Tom Toots His Own Horn! I recently received the following writing op. Karen will be speaking to our group in January, but you might want to keep this in mind. She is interested in hearing your article ideas and will consider suggestions for periodic columns. Although these are non-paying opportunities, you can get your name before thousands of local readers. Your profit is building name recognition. 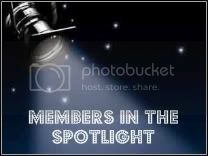 I'm the owner/developer of a new faith-based website in Richmond - SpotlightRichmond.com. We have a Faith & Values section on the site. We currently have an article on there by Stacy Hawkins Adams. Other Christian writers have submitted stories. We would welcome stories, poems, etc. from your members. We officially launched at the end of September - had 92,000 hits in October. In early January, we are going to announce a Random Acts of Kindness Contest. National RAK week is Feb. 12-18. The idea is to localize that event - encouraging people to commit 3 RAK that week - pay it forward - we'll list everyone involved, share stories, give away lots of prizes - and compile a book of stories - which will be sold with 100% of proceeds going back into the community through charitable projects. Would welcome help with the book portion of this project especially. miracles, large and small, for consideration in a book series we are currently publishing called When Miracles Happen. So far we have books on healing, God's care, prayer, and children. Future volumes already in the works are Miracles and Rescues, Miracles of Renewal, Miracles Everyday, Miracles and Mysterious Visitors, Miracles at Christmas and more. Isn't it wonderful when your writer's move marbles? I'm excited for Mary. And just a few minutes ago, I submitted my poem online, too, to Writer's Digest Poetry Contest. Wouldn't it be wonderful if one or both of us won? I hope some other poets submit their pieces from our group. It's a real thrill to follow through and at least try:) Thanks for the encouragement-all year long! I have not lost my marbles, I just over committed myself this year and my marbles have come to a halt for the last month. I do intend to get them moving again and I won't give up until I receive a publish for pay and when that day comes I'll still continue to move marbles. God Bless you, Tom for all your encouragement; I wouldn't have gotten this far without your help. Have a wonderful Christ centered Christmas! I have waited for the LONGEST time to be able to toot my horn, BUT now I am happy to say, I DID IT! PRAISE GOD! A local web developer hired me as a contractor and put me on his Advisory Board. What a great writing credit. Part of my duties will be to create web content for his clients and make modifications to existing sites. Thanks to you and Yvonne for encouraging me to write and move marbles. I was published on the web today - meeting my goal of being published before 12-31-06. PRAISE GOD! It only took 45 years for me to get here. HAHA! God Bless you all and trust me - if I can do it - ANYONE can! At our November meeting I shared that my testimony, "A Worthwhile Life", was published in the book, His Forever: Stories of Real People Finding Christ. I got my copy just prior to our November meeting, but I didn't tell everyone. I entered a contest sponsored by Adams Media in December 2005. I found out last March I'd made the first cut, and in August I was informed the book would be published in November. After getting my complimentary copy of the book I got my $50.00 check. PTL. But I couldn't have done it without you! An RCWW group critiqued my testimony. Tammy Belcher took a special interest in my project and gave further detailed critiquing and editing. The editor at Adams Media made several changes in the arrangement, but little editing of content. Thanks to Tammy and all that contributed to my getting this piece published. I pray my testimony will touch and change lives. My appeal to you who are submitting and not getting published is that in the writing business no one does it alone. We need each other. And as we enter 2007 I am going to push (in love) for more critique groups and to expand our Marble Mover program. Congratulations to those Marble Movers who did get published for pay in 2006. Quote from Jen F.: "If you read what you want to write, you will write what people want to read." Quote from Richard E.: "Your will, your words, my voice." Quote from Donna S.: "When I read your article it was like eating desert." So have a Happy Reading and Writing New Year! The popular Chicken Soup for the Soul is calling for submissions to possible upcoming titles. Visit the main site for details and click on "Submit a Story" for more information. Accepted submissions receive payment. Download the following guidelines for further information as well. Although there is an entry fee for this contest, Writer's Digest is a reputable contest. However, read the guidelines completely to be sure you want to enter. We have some good poets in our group, so there it is reasonable that some of you can walk off with the prize money. For guidelines and to enter online visit this link today! This was passed along to me. As always, read the guidelines and contractual agreement you may be entering. Sorry to say, I'm not able to read all the detail that comes to me, but even if you do not enter any of these contests the information is good. Thanks to Mary Moss for sharing this information. The 4th Margaret Reid Poetry Contest for Traditional Verse is now open. A total of $4,500 in cash prizes will be awarded. Please visit this site OR this site for full details. Because of the fewer number of entries received daily, judges have far more time to read, consider, re-read, savor and think about particular entries. In contests where there are two or more judges, ALL the judges will read ALL the early entries. This means that if one judge likes your work, that judge will go to bat for it even if the other judges are not as enthusiastic. Often a poem takes time to germinate in a judge's mind. A first reading may seem to make little impression, but certain phrases, certain ideas, certain images lodge in the mind and are recalled long after seemingly more significant entries are forgotten. Every judge I know (including me) has wasted an enormous amount of time hunting through reject baskets, looking for particular poems that are suddenly recalled. Most judges like to set standards and this is done quite early in a Contest. Tim Tyro may send in a poem called "A Lost Romance" which really appeals to the judges. Lots of other entries on this theme will follow, but the judges will measure all those entries against "A Lost Romance". Even if another entry is actually better in fact it will often be discarded because the judges will give "A Lost Romance" the benefit of familiarity and will tend to discount the freshness or the imagination present in a rival piece. So you have a lot to gain by lodging entries early and not putting it off until the last few weeks. On to other news. Due to circumstances beyond our control, the trade edition of Sailing in the Mist of Time: 50 Award-Winning Poems from the Margaret Reid Contest has been postponed to mid-2007. The present beautiful edition, however, will remain on direct sale at Lulu. The price is less than $10. Excellent value! Please use this link. One of the reasons the trade edition has been postponed was the distributor's thought that the present book of 50 poems was not large enough for sale in the nation's bookstores. So we will add the winning poems from the now-judging Tom Howard Poetry Contest as well as the winning poems from this new Margaret Reid Contest. The distributor wants a big book, so he will get a big book! This, however, could be the last time that traditional print publication is offered! Regarding the Tom Howard Poetry Contest, your judges are hard at work, evaluating entries. Official results will be announced on February 15, 2007. However, if you have won a cash prize, you can expect to hear from us in the next month or so. The Tom Howard Short Story and Essay Contest is now open. Please visit this link OR this link for full details. $3,200 in prizes, including a First Prize of $1,200. If you plan to enter, it's a good idea to take a look at our new Anthology entitled Watching Time. This newly published anthology of prize-winning stories and essays from recent Tom Howard Short Story Contests is now on sale at Amazon (and other book stores). The recommended retail price is $12.95, a bargain for a trade paperback of 208 pages containing no less than fifteen award-winning stories and essays. If you click on the link Watching Time above, it will take you straight to Amazon. (Of course you can also buy direct from the publisher at Lulu.com). The "early bird" price before Jan. 31, 2007 will be $60. The regular registration will be $70. The price will go up after that, but I have forgotten the specifics. This will include a group critiquing session with Marlene on Friday afternoon. A pizza and salad dinner on Friday evening. Friday evening sessions with Marlene. On Sat., there will be a continental breakfast and box lunch. Sessions with Marlene speaking will go all day, ending at 5 pm. Marlene will be bringing boxes and boxes of free materials. Keep an eye open for more details. "Write the vision, and make it plain..." Hab. 2:2. Our next meeting will be November 19th, 2:00 to 5:00 p.m. at Grove Avenue Baptist Church. NOTE: Enter the church through the rear entrance closest to the Ridge Road side of the building. Upon entering, look for the first hallway on your right. Go into the first room on your left: Room 166. Learn how to target your articles for specific markets, focus your writing to connect with your audience, and evoke the senses in every aspect of your article. 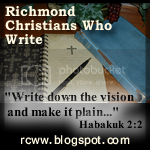 The November meeting of Richmond Christians Who Write will feature RCWW members Cheryl Black and Becky Gray who recently attended the Sandy Cove Christian Writer's Conference. Cheryl and Becky will lead two interactive sessions for the group, "Adding the Senses to Your Writing" (2:45-3:45) and "Getting Your Message Across" (4:00-5:00). Bring a non-fiction article you've been working on and plan to apply new techniques to help move you closer to publication. On Tuesday, November 28th at 7PM, Author Stacy Hawkins Adams will be visiting Glen Allen Library to discuss "Writing Inspirational Fiction in a Mainstream World." This will be followed by a book signing. You can get additional info by calling 756-7523. No December Meeting. Our next meeting will be January 21, 2007. Dues, in the amount of $20.00 will cover membership from January through December 2007. They may be paid at our monthly meetings or mailed to: Richmond Christians Who Write, 12114 Walnut Hill Drive, Rockville, VA 23146. See you on November 19th! I don't know why I didn't mention this to you sooner. I let several people know about it, but somehow I don't think I passed it on to you. I have an article on a web site called, will write 4 food. The writing is called, "Story Sparklers", and it is about a third of the way down in the list on the main page. The article would probably interest your group because it directly relates to writing and creativity. 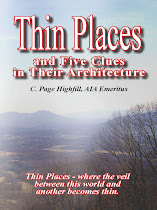 The site is run by Christy Barritt and some other Virginia writers. It is not a paying market for articles. If you provide your address, however, you will receive a large size of your favorite candy bar. As Christy put it, "After all this is will write for food!" It is a great site for information, tips, and testimony. I have some information you might want to share with our group. On Tuesday, November 28th at 7PM, Author Stacy Hawkins Adams will be visiting Glen Allen Library to discuss Writing Inspirational Fiction in a Mainstream World, this will be followed by a book signing. Even though it falls on a Tuesday it sounds like something we all might want to do together. I have all intentions of attending, regardless. You can get additional info by calling 756-7523. I do so much writing for Good News Mission that I forget to pass on good news about articles. I do so only to keep others motivated to write. This month I have an article on two ezines: VictoryHerald.com and Richmond.com. Both are slated to be out isometime in November. God alone gets the glory for this. I want to remind others to that both places are hungry for our articles. Keep writing for Him. Therefore, Judi is our third Marble Mover to publish for pay before 12/31/2006. Sorry, Judi, for the delayed acknowledgement of accomplishing your goal as a Marble Mover. Becky has helped me accomplish the first part of my goal, and now I have advanced my goal to helping all my Marble Movers to get published for pay this year. I'm looking for 10, but will take as many as want to be involved. Currently there are six participating in this project. If you have never been published for pay, you can join my faithful group of Marble Movers who are getting very serious about their writing. Tom, please share this success with our fellow marble movers. I am so humbled to share that my article, "High Tide," will be published by Standard Publishing in September 2007 in "When God Steps In: Stories of Everyday Grace", a compilation book of stories of God's intervention in our lives. Bonnie Bruno serves as the editor and has been a joy to work with. This honor does not come with a paycheck, however, it is a significant step for me toward my goal (and each of our goal) to be paid for my writing by the end of the year. I could not have done this without you and my fellow marble movers. Cheryl, Ann, Laurie and Mary critiqued my article during our first meeting and made a difference I cannot even measure. Their feedback and prayers took my article to a new level of professionalism and inspiration. I look forward to reading many more of these celebration emails from all of the marble movers. As you said recently, let's keep writing till Jesus comes again! Amen. International War Veterans' Poetry Archives accepts poetry about war, from any perspective, from veterans and non-veterans. I received word that my 2000+ word personal testimony was accepted for the book, His Forever, to be published by Adams Media this December. I want to say thanks to those who helped me critique my (awful) testimony during one of our regualr monthly meeting and put me on track. I want to give special thanks to Tammy Belcher to worked my testimony over thoroughly. Details as the end of this meeting notice! Our next meeting will be July 16th, 2:00 to 5:00 p.m. at Grove Avenue Baptist Church. NOTE: Enter the church through the rear entrance closest to the Parham Road side of the building. Upon entering, look for the elevator on your left. Go to the 2nd floor. Turn right when getting off the elevator, go to the end of the hall, turn right, go to the first door on the left past the water cooler. The July meeting will be a Q & A Session. A couple of weeks ago I asked you to send in some questions so we could be prepared to give you the best answers we can. Several of you responded. But we want to hear from more of you. The sooner you get me your questions the better that answers will be. Remember, there are no dumb questions; there are only unanswered questions. Over the past couple of years I've called on a few RCWW members for suggestions and to help me with planning programs and meetings. We met on June 17th. Barbara Baranowski hosted the meeting, and fed us a fine meal. Cheryl Black, Emily Corbin, Marie Corso, Martha Kalichman and I attended this very productive meeting. In fact, our July and September meeting formats were suggested as trials to see if they benefit the group. More on the September meeting immediately below. As discussed in our planning committee meeting, we want to gear more meetings to meet the needs of our poets. It has been realized that it is difficult to critique poetry, but we can have more sessions teaching various aspects on the craft of poetry -- how to and how not to. Sherry Maxwell will be teaching a session on poetry at our August meeting. Pray for her as she prepares for this vital session. You poets bring your poet friends. Following the suggestion in our committee meeting, our September meeting will be a two session workshop. NOTE we will meet on the 2nd Sunday, the 10th, to take advantage of Louise DuMont being in town to visit her family. She has agreed to do two workshops that Sunday afternoon. We will dispense with the 4:00 to 5:00 critique session. Many of you have told me how inspirational and helpful she has been on her previous visits. We want to consider this format quarterly instead of holding an annual fall weekend conference as we have in the past. August 20, September 10 (2nd Sunday), October 15, November 19. Dues, in the amount of $10.00 will cover membership from July through December. They may be paid at our monthly meetings or mailed to: Richmond Christians Who Write, 12114 Walnut Hill Drive, Rockville, VA 23146. Check out our Blog! See you on July 16th. Bring a friend! Here is a good resource, but like everything else, check things out thoroughly and ask questions if you need answers. In 250 words or less tell us who you are recommending and why, based on the above criteria. Please include his contact info: USPS address, email address, and phone number. Your recommendation needs to be received via email no later than July 12. Before submitting your recommendation, please check with the individual to make certain he would be able to come. who is reachable, and who changes lives! Explore creative writing in a relaxed and inviting atmosphere. Through writing exercises and critiques, participants will try out their poetic and story-telling voices. The instructor is prepared to tailor the course according to participants' individual interest - her focus is on clarifying for each individual writer in the course what living the writing life means. This class is not being offered for the summer session. If interested in taking it in the future, please call 804-261-6200. We will advise you when the next class will be offered. This course will feature writing exercises and discussions on the writing life. It may be taken as a continuation of the first session, but attendance at the first session is not required. A day of discussion and writing exercises with a focus on the elements of fiction, including plot, character, dialogue, detail and point of view. Participants will end the day with plenty of new material for potential stories, as well as a better understanding of the elements that pull a story together. Writing from factual experience, nonfiction writers use story-telling and poetic techniques that leave readers hungry for more. Through discussion and writing exercises, participants will leave the workshop with a better understanding of creative nonfiction and with new material for their own work. Louise has spoken to our group several times in the last few years. My latest WIP is tentatively titled, *If a Tux Could Talk: The Men Who Help Plan Their Weddings, and the Women Who Love Them For It*. For this project I will need newlyweds, and soon-to-be brides and grooms to fill out my questionnaire. I am particularly looking for humorous, poignant and unusual ways in which you or your groom participated in planning the wedding. I would also like to know how and when husbands began taking on the role of spiritual leader of the household -- the more detailed and descriptive the anecdotes the better. Please pass this invitation on to other applicable persons. Today's groom is not afraid to order quiche tartlets for his reception or display a daisy boutonniere on his tux. Most couples are footing more than a third of their own wedding bill. Grooms both want and need to participate in the decision-making. If a Tux Could Talk: The Men Who Help Plan Their Weddings, and the Women Who Love Them For It reflects the changing role of a groom. Unlike many other groom guides, this book also addresses a young man's Godly desire to become the spiritual leader of the home, even as he values the talents and strengths of his bride. More information can be found at the North Jersey Christian Writers Group blog. You may also email me about it at louisedumont@gmail.com. Here is a pass-along from mary moss. One word of caution, if you join either of these programs be certain all personal information is removed from the books or magazines you share. As a former jail chaplian I know of cases where inmates (and other undesireables) made personal contact with individuals circumventing the channel set up by the organization supporting the project. I am not saying this will happen, but i am saying remove all personal information that could lead someone back to you as a participant. I have not checked out any of this info. Books for Soldiers is an organization that allows military personnel to make requests in an online forum, for books they would like to have. Books can be sent directly to them. Because items are being sent to military personnel, a notarized application is required and must be mailed to address provided prior to your making a donation. A bit of work, but a worthy cause. Books Behind Bars is a regularly updated site the posts requests from prison libraries. Needs range from law dictionaries to Spanish-language novels. Looks like a pretty straight-forward process. We're getting ready to purge our library at home and at church and I think it's rather timely that I came across information on these two sites in a magazine this afternoon. Trusting Him for Life After Divorce - a compilation of 1500 word testimonies. The stories should reflect the faithfulness, mercy, love, compassion and power of God through and after divorce. Tell your story for His glory! Help others in their time of heartache. Trusting Him With Your Addicted Child - a compilation of 1500 word testimonies. Stories of parents with former, or presently, addicted children. Show how God sustained or sustains you. Let's encourage other parents in this situation with our own victories by God's power. Deadline for the above two is August 15. Keeping your Cool In the Midst of Medical Madness - a compilation of 2500 word stories by patients and health care providers. Tell your story of 'Medical Madness'. Show how you kept your witness, good name, integrity, and peace in a hair-raising story of medical attention (or inattention). Let's encourage others to maintain, or adopt, a Christian witness in these stressful times. The deadline is December 20, 2006. For all submission, write in Times New Roman 12 and double space. If your story is used, you will receive a book + discounts when the book is published. For further information, please contact Charlotte Holt at cjholt@kingwoodcable.net. For more information regarding Charlotte go to www.publishedauthors.net/charlotteholt. Publishers are looking at proposals for these books. Please send you stories. NOTE: We will meet on the second Sunday to avoid meeting Father's Day, June 18th. ALSO NOTE: Due to my error, the May Meeting Notice did not go out to the e-mail list, therefore, I am repeating the program I had planned for May. Our next meeting will be June 11th, 2:00 to 5:00 p.m. at Grove Avenue Baptist Church. NOTE: Enter the church through the rear entrance closest to the Parham Road side of the building. Upon entering, look for the elevator on your left. Go to the 2nd floor. Turn right when getting off the elevator, go to the end of the hall, turn right, go to the first door on the left past the water cooler. At last, I've found a kind of poetry I can write. Follow the instructions below and bring your best effort to read and discuss at our June meeting. Notice how the poet eloquently evokes her culture, her roots, her experiences through vivid sensory imagery. Try your had at a vivid poem showing where YOU are from, in every sense of the word: geographically, physically (your family), emotionally, intellectually, and spiritually. Think of childhood memories of tastes, smells, sounds, colors, textures -- think of the people in your life and their favorite sayings, of special toys and animals in your life, of family stories, of special friends and secrets, of vacations and holidays, of school, of games and songs, etc. Let your vivid specifics create a sense of the whole of your life, the whole of YOU. I've already done mine. It was confusing at first, but then when it begins to flow it is hard to bring to a close. It has been deemed by some my best piece of writing. I'm looking forward to hearing what you write. Over the past couple of years I've called on a few RCWW members for suggestions and to help me with planning programs and meetings. We will be meting on June 17th. If you have suggestions for meetings, speakers, workshops or conferences, please let me hear from you. I am especially interested in getting your views on a fall writers conference as mentioned below. July 16, August 20, September 17, October 13-14 RCWW, November 19. NOTE: I am repeating the following from a previous Meeting Notice because no one gave me feedback. In one sense of the word, no answer is an answer. If you are not interested in RCWW holding an annual weekend writers conference, please take a moment to say, "Not interested." If you would like to see RCWW hold an annual writers conference, please take a moment to say, "Yes, I'm interested." Our planning committee will be meeting June 17th. We need feedback to set our agenda. In my March meeting notice I asked you to look for my letter about local writing conferences. (Sorry, but I didn't think it would take me this long to get back to you.) American Christian Writers (ACW), of which we are a chapter, has come to Richmond for the last seven years because of RCWW. This year the numbers were way down. Next year they will not come back to Richmond. Like any business, they have to make a profit to stay in business. RCWW has held 4 fall conferences. We did not hold one in 2005 because the last two were not well attended. But I know conferences are vital to writers. And I know they are expensive to hold and expensive to attend. A small local conference cannot afford to bring in top authors, editors, publishers and agents. So local conferences tend to be writing workshops focusing on learning the craft. We have locals wo are qualified to teach writing workshops, and I have called on the ones I know, and they have done a great job. But these local conferences have not been well attended. Even so, I have set aside the weekend of October 13-14 this year and October 19-20 in 2007 for holding conferences. I need your help in planning. What features would you like included? What workshops would benefit you the most? Do you know local instructors, authors, editors and publishers I could contact? What would you be willing to do to help? Obviously, I need prompt feed back. Let me hear from you soon. Dues, in the amount of $20.00, are payable January through June and $10.00 July through December. They may be paid at our monthly meetings or mailed to: Richmond Christians Who Write, 12114 Walnut Hill Drive, Rockville, VA 23146. Check out our Blog! See you on June 11th. Bring a friend!